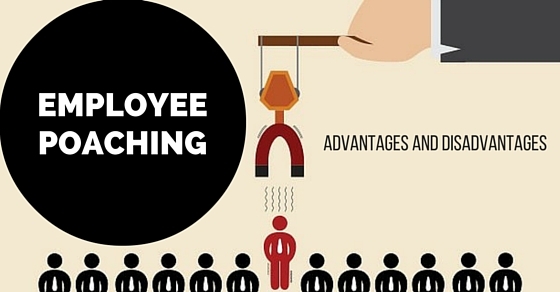 Employee poaching essentially means to hire employees from the competitors. Employee poaching recruitment is done in those industries where specialized skilled employees are required. The poaching of employees is aggressively practiced in most of the corporate’s across the world. In the olden times in order to get the right employee the process of poaching in recruitment was very difficult. You need to know someone from a particular organization – then you need to understand the person and then finally hire the person. But with the advent of technology things have become much easier. You can easily get the details on various websites like LinkedIn or CareerBuilder. How to Prevent Employee Poaching? The employee poaching is also known as employee raiding. This is practiced aggressively across various high-profit industries. There are various ways where the employee poaching can be restricted. When a company hires a new employee the latest trend is to get a non-compete agreement or a no-poach agreement (no poaching) to be signed by the employee. This is a contract which is formed between the employee and employer wherein the employee legally agrees that he/she shall not work for their competitors soon after leaving the existing company. The companies want that their employees do not go to the competitors and hence they make sure to provide them with the best incentive plans. This could be in cash and kind depending upon the situation. These long-term plans are made looking to the performance and profits of the company. The management of the organization makes sure that the employee is given due respect and make them understand that they have an important role in the growth of the company. In most of the cases, the company sponsors trips and various annual programs in order to improve the morale of the employees. There are many programs which are conducted that ensure complete interaction of the employees. The main idea poaching of employees is to get them into your organization and utilize their skills for the betterment of the company. The main goal while poaching the employee is to convince them that your company is far better than the place where they are working. This is possible by providing them the right type of messages and besides this you also need to create proper job descriptions. Never force the employee to join your organization rather you should provide live examples of employees who are working at the same levels as them. You can also show them what are the long term advantages for the employee if they join you in terms of perks and other benefits. Passing on the right message essentially means that you should lure the employee to your organization in such a manner that they are convinced on their own and not force them. Keep in mind that those employees who are already on a particular level would not want any special welcome – but the employees who are being brought to your organization by way of poaching needs to be welcomed properly. You need to be courteous and down to earth as possible since they are the persons whom you need to pamper. For e.g. if you find a job profile which is excellent on LinkedIn – then you should not ask whether the person is interested for the job or not instead you need to introduce yourself and also give a brief about your company. Then check with the employee whether they would like to meet – you need to present to the candidate that it is just a friendly meet and during such meets discuss with them the positions available and what are the perks available for such positions? Thus having a friendly approach is very important while you plan to poach an employee – they should be provided a non – threatening environment where they voice out their views openly. This would be the worst thing which a company should do. You should never force the employee to join the organization. It has been seen and experienced that the stereotypes poachers are generally very rude and also demanding. They also make many false claims. One has to clearly understand that the job is to bring the employee to the organization in the right manner and not to bring them forcefully to the company. If you have nature which is dominant then it could prove to be difficult to get a good employee to your organization. When you are seeking potential employees then there are all chances that you may go overboard. This essentially means that if a candidate or an employee is not actually interested then you should respect their choice. At the end of the day, it is the discretion of the candidate whether to join you or continue with the existing organization. Never go overboard and bombard inbox with lots of emails or do not try to get in touch with them on the social networking platforms. Wait for some time – in case they do not heed to your calls or emails then leave them and try to get some other potential employee. Every organization calls for talent which is extraordinary. They initially try to get them through recruiters and also by giving advertisements. But there are times when you do not get the appropriate person who drives your company. In such cases, the only option left with the company is to poach an employee from the competitor. Earlier poaching was considered as an activity which is to be kept under wraps – but off late the industries have been facing tough cut throat competition and hence poaching is a common phenomenon. Whenever any company decides to poach an employee they would always want to have win – win situation. The poaching is beneficial for both sides – the poacher and the employee being poached. Poaching is considered as the transfer of knowledge from the skilled employee to the growing company. The poaching also helps in sharing the burden of the company since a highly skilled workforce has been poached. In the present modern times, it is important for the companies to survive the strong competition. The companies which are less productive need to poach skilled employees so that they can have the best skills in the recruitment market. The main idea of taking the employees from the competitors is that the less productive company can have better performance in the market. The firm has an increased boost in the sales and also the productivity of their services and products. The poaching is essentially done to face the competition and also to maximize profits of the company. There is no need for a formal agreement since with the help of poaching the resources can be easily reallocated. It has been seen that the production company tries to poach employees from the less productive company – but remember that this could bring down the revenue generation for both companies due to the competition. If the poaching is vice – versa then easily both the firms can generate good revenues and survive in the market. Every business today aims at getting the best resource from the market. All of them intend to stand first in the competition. But surviving the competition can prove to be very tough if you do not have properly skilled employees in the organization. Earlier the recruitment agencies used to take the work of getting good employees by way of interviews – this used to be done by giving advertisements, cold calling etc. Over a period of time, it has become difficult to get candidates in this manner. Moreover the employees who are totally new to the industry have to be trained and mentored and of course, this comes with a cost. The companies have started thinking otherwise – why not poach an employee from the competitor firm. The positive side here is the company can have potentially better sales and revenue; customers and lead generations as compared to a new employee. Today every skilled and talented employee looks across for greener pastures. Now in this context, they are lured by the competitors – but this could prove to be a dangerous situation in case the existing company has made an agreement with you that you shall work for them for a longer period of time. There have been cases where the existing companies have sued the employees for going to their competitors. The amount to be paid to the employer turns out to be a hefty sum which may not be affordable to all. Most of such cases are dragged to the court. In certain special cases the person may be left Scot free but in majority of the cases the employee is at fault. You need to think twice before you poach an employee from the competitor firm. The employees in order to get more perks and salary would breach their post-employment agree to join the company. But it is the moral responsibility of your legal adviser to check for any agreement which has been made in the past. If this is not thoroughly checked both the employee and the poaching company can be summoned in the court by the competitor and they have all the right to sue them for luring their employee. Here is a live example where an employee holding a senior position was poached by the competitor – they were supposed to start their operations in Australia. The employee had joined the organization but the ex-company made provisions to stop him from joining for another six months. They also took away all the confidential files which were handed over to him during his tenure of work. Here the problem is poaching – the employer may still not have many issues but the name of the employee can be tarnished and in future, they may not be able to get a stable job. There have been cases where the employee has allegedly taken away the contacts and the customers from their existing firm to the competitor at a hefty price. But soon the employer came to know about this, they sued the employee and he/she had to pay back the entire amount and also hand over all the records of their clients. Another major problem is if the poached employee does not perform well with the competitor within a given span of time it could call for a job loss for the person. Here the employee neither can go back to his old firm nor can get a new job. Employee poaching or rather employee raiding is supposed to be an unethical practice in the recruitment industry. But when we look at the positive side of this practice one should understand that this type of poaching is done in order to get knowledge and skills which every employee may not possess. There are people who have special skills and they have to be in the organization in order to take the company forward. There are many issues which may arise legally – but if the employee is ready on their own to move into a new organization set up then these can be dealt with easily.